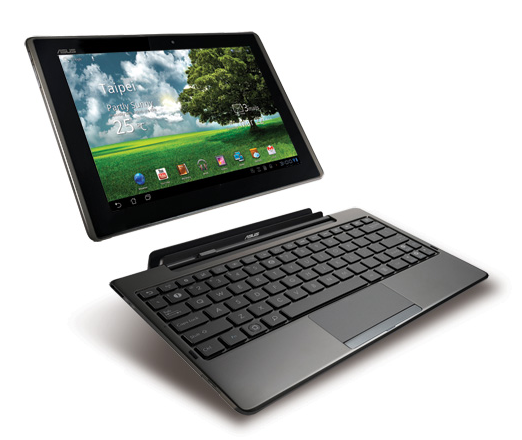 Is the Asus Eee Pad Transformer on Your Honeycomb Tablet List? We haven’t covered the Asus Eee Pad Transformer up until this point, but with a launch looming and an initial $399 price point (for 16GB wifi-only) accidentally leaked from Best Buy, it’s time we mention this beast. For those not familiar with it, the Transformer will be powered by a Tegra 2 processor (the standard these days), have 1GB of RAM, front and rear cameras, 16/32GB storage, HDMI-out, and of course run Honeycomb, but the price is the story here. $399 for a 16GB Honeycomb tablet with specs that match up almost exactly to the XOOM? And we haven’t even mentioned the docking station that you are seeing above, which provides the device an additional 8 hours of battery life bringing the total up to 16. Anyone waiting for the Transformer to drop?